IF: Please tell us about yourself. What makes you different? Hello! I am currently pursuing my B.Tech in Metallurgical and Materials Engineering from National Institute of Technology, Durgapur and I am in my second year of studies. I love playing guitar, hanging out with friends and racing with my car. IF: Which internship you got the chance to take? What is it all about? Stipend, duration and place? After I completed my first year in my college, I got selected for Business Planning Event at IIM Lucknow and there I was among the top 10 performers and so Digital Vidya. It is Asia’s leading Digital Marketing training company and the first to launch Social Media Marketing Workshop Series in India. I was one of the luckiest person to get the internship in Social Media Marketing. The duration was of one month, during July-August 2014. It was a work from home internship around 2 hours a day. IF: How you came to know about the internship? To what all sources you kept yourself connected? 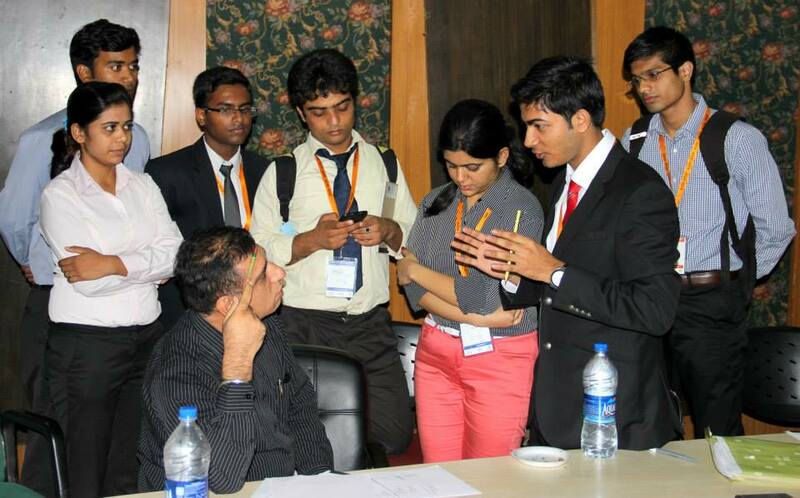 I came to know about this internship from The Lucknow Conclave. The CEO of Digital Vidya introduced us to the various courses. I got this offer as I was among the top 10 at The Lucknow Conclave’s Global Business Planning and Mentoring Event. IF:Tell us on the procedure to apply for the internship. Who all are eligible to apply for this internship? Firstly you can take part in the various events organised by Alexis Society and Adhrit Foundation and you need to perform really well to get qualified for these internships. Your resume must be good enough to satisfy the panel of judges there. IF: Let’s talk about how competitive is the selection process. What qualities of yours, you believe helped you in having an edge over the selection process? What key things you feel were looked for by the selectors? I was one of the college representative teams in our annual techno-management fest Aarohan that took place in February this year. I then had an entrepreneurial mindset and always wanted to excel in this field. The selectors always look for a guy who is ready to take up any challenges that come by and execute them successfully. IF: About when you got the news for the selection? How was the celebration? I got a mail stating that i was selected for this and then they wanted me to forward the details so that they can contact me further with their times and all. Yes, I was delighted with the news and shared with my friends and family. IF: What all preparations you did after the results in view of the internship? I referred to many books for learning this subject and completed the internship successfully at the end of one month. IF:Please tell us with what work/research project you carried out during the internship period? It’s application in near future and your work in it? I was then working on how to promote my product and would I proceed to the market and my customers with a limited amount of resources. IF :What was the best thing about the work culture and the internship? What all things you liked there? The program was very systematic which I liked the most. They conducted regular quizzes which helped us keep at par with the subject depth and how much we learnt. IF: Were there any special events during the internships? There were panel discussions where all the interns and mentors took part and discussed on the various issues regarding the subject matter. IF: What was the guidance provided by your guide/mentor? What all support you received from administration at the intern place? The mentors helped with any problems faced during the course of the training period. They sent mails regularly stating how to proceed further. IF: Let’s now talk about some negatives. What problems you or your friends faced, regards to the internship, which your juniors may be able to avoid? To be honest there was no problems at all. They are very systematic in their work but yes, you must be very punctual during your training period. IF: Anything you would like to tell us please. Feel free to share any interesting thing that happened. 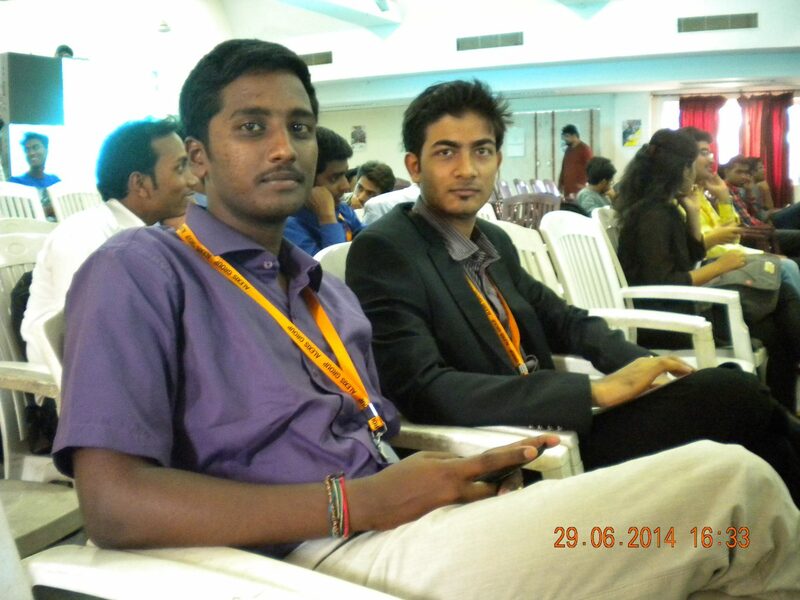 During my Lucnow Conclave, I came to know a whole lot of people from different fields. Some law students, some CEOs, some entrepreneurs and one to one talk with Miss Bhavna Toor, Miss India New York was a lifetime experience. IF: Was this your first internship / training? Yes, this was my first internship. IF: To which all people you would, like to thank in context of this internship? Firstly I would like to thank Vikalp Pandey bhaiya for helping me a lot in the selection of The Lucknow Conclave and also Navin Gupta bhaiya for helping me with the loop-holes of the business plan. I would also like to thank Mr. Mradul Yadav, Convener at Lucknow Conclave and Mr. Aditya Singh, Chairman Alexis Group. Last but not the least thanks to Mr. Pradeep Chopra, CEO Digital Vidya and my parents for their constant support. IF: How much difference this internship period has made in your intellectual capabilities and mindset. In broad terms what are your gains from this? This internship gave me a whole lot of experiences and also I learnt a lot from the world of social media marketing. I tend to take forward these ideas for my juniors and for my customers also when I build a startup of my own. IF: Advice for juniors? Which can help them in getting internships in their future college life and also advice for making the best out of it. My advice to juniors would be- stay focused and never get disappointed because success comes from bad experiences only. Apply for internships even though you think there’s a least probability of getting selected. No one knows what might that come out to be. IF: What are your future plans after this internship and how much impact this internship will have on it? I want to grow up to be a great entrepreneur and a motivational public speaker so that I am able to change the mindset of people towards a better and entrepreneurial India. IF: Any views about this initiative of InternFeel, and how beneficial it would be? Any suggestions for improvement? Yes, you guys are doing a great job and I hope that this initiative of yours comes out as a success. IF: It was so nice to know all about this. We agree you would have been busy with your academics. Even then you took out time for this. We thank you and wish you best of luck for all your future endeavors. Its absolutely fine. It was nice talking to you all.